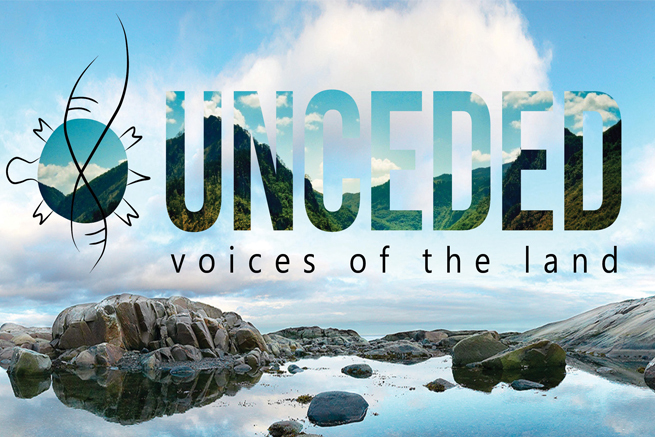 The 2018 Venice Architecture Biennale opens on May 24 and this year the Canada Council for the Arts has selected UNCEDED: Voices of the Land to represent Canada. The project is co-curated by Gerald McMaster of the Siksika First Nation and research chair at OCAD, and David Fortin, of the Metis Nation of Ontario and Director of Laurentian University McEwen School of Architecture. The Indigenous team of 17 architects is led by Douglas J. Cardinal, architect, philosopher, and human rights activist. UNCEDED: Voices of the Land is a celebration of Indigenous architecture that speaks of landscapes of resilience, overcoming unforgiving limitations and serving as a register of hope and pride for Indigenous designers across Turtle Island (Canada and the USA). A major educational component of the project is the inclusion of Indigenous students of architecture as part of the Biennale. These students would participate in daily programmatic proceedings, such as being present on the site, offering tours, and responding to visitor questions. This will be a great opportunity for students to familiarize themselves with the world’s most important international gathering for our profession, as well as giving Indigenous students accessibility to knowing and understanding the greater architectural community. It will also instill a pride in representing their constituent communities and sharing knowledge and meaningful dialogue with visitors. These positions are extremely important to the operation of the exhibit and a significant responsibility. Presently, the plan is to have two students at a time for two-month periods, over the course of the Biennale. Should further funding for the educational program become available, the program will be expanded.